From humble beginnings as a transport cooperative in 1959, Lantrak has earned an unrivalled reputation in integrating Material and Plant Hire solutions – forming one of the largest material management and plant hire businesses in Australia. 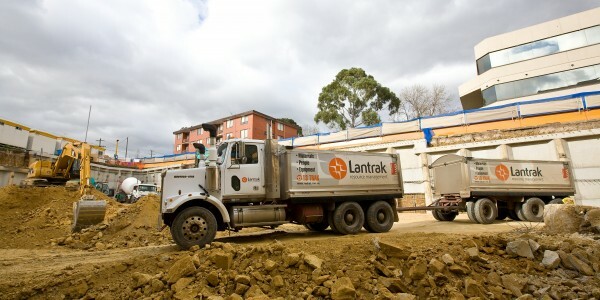 Annually moving over 10 million cubic meters of clean fill and structural fill, Lantrak has played a major role in Australia’s landmark construction projects – including Snowy Mountain Scheme, Homebush Bay Olympic Stadium, Crown Casino, The New Royal Children’s Hospital, Gateway Duplication, Brunswick Heads, Wonthaggi Desalination Pipeline and Peninsula Link Freeway. Operating a comprehensive fleet of tip trucks with extensive plant hire solutions, Lantrak has hundreds of clean fill supply and disposal options available for your projects needs. Lantrak specialise in sustainable soil management practices, providing a diverse range of earthmoving and plant hire solutions, and is the supplier of choice to civil and commercial industries, councils, and government bodies. By accessing Lantrak’s specialised knowledge in clean fill sites, extensive truck hire & plant hire solutions, and soil management systems, our clients are provided with costs effective benefits for their project. 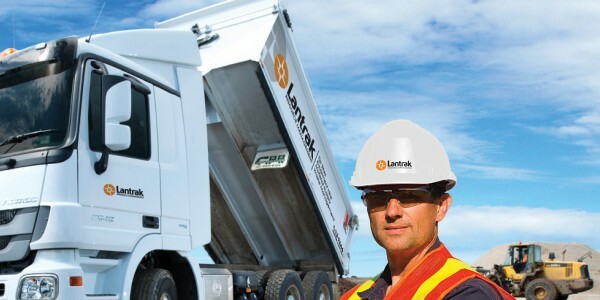 With offices located in Melbourne and Brisbane, Lantrak guarantees absolute success with integrated solutions including material supply, clean fill sites, tip truck hire & plant hire. Lantrak is the industry leader in its core business of logistics and material reuse. Continually exceeding customer expectations by being first class multiple services provider in the industry, Lantrak is focused on developing a diverse workforce aligned with the company’s growth objectives. People at Lantrak are innovative, passionate and energetic – working as one team in a high-performing culture to deliver practical and valuable solutions to industry clients. Lantrak has a solid history and excellent reputation in the industry and is guided by a dependable and respected leadership group.